Getting qualified with Selmar opens up an exciting variety of aged care career possibilities! Explore some of the options below or contact our course advisors on 1300 223 040 to find out more. 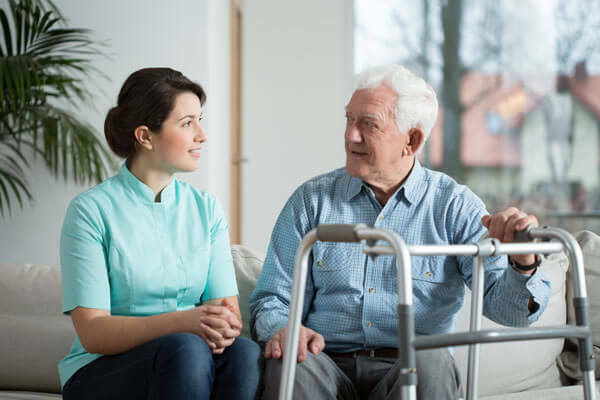 The role of the residential care worker is to older people with provide physical care, emotional support and help with their day-to-day tasks. This may be in a clinic, hospital or residential care facility and vary in the level of care required. Residential care workers aim to improve the quality of life for older individuals by actioning care plans that have been devised with their specific needs in mind. This could include assisting older people with daily activities like dressing, washing, eating and their taking medication. It could also include helping the client to maintain a safe and clean living environment and encouraging them to get involved in activities and social events within their community. The residential care worker will also monitor an individual’s physical and mental health and be alert to signs of discomfort, hearing issues or loss of sight, depression and loss of mobility. Residential care professionals get a great deal of satisfaction from this role for many reasons: they can see the direct benefit of their efforts reflected in the quality of life provided to the older individual. In this role you’ll meet people from all walks of life with a broad spectrum of experience and history. You’ll develop bonds with many of your clients, which is an enriching and rewarding part of the job. You’ll get a high level of satisfaction knowing that you’ve made a positive difference to someone’s day, every day. Assist individuals with personal day-to-day care activities. Provide much needed companionship and emotional support during daily activities. Executing strategies for managing mental health and other health issues. Arrange transport to take the client to medical appointments and outings. Liaise with the client’s family and other health care professionals to maintain their care plan. As an aged care supervisor you’ll be a frontline manager with strong leadership skills. Care supervisors manage teams of care workers to administer physical care, emotional support assist with the daily tasks of older clients. As a care supervisor you would be responsible for ensuring that your team members undertake relevant professional development and training to assist them in their roles. You would ensure that your team of care workers is delivering high quality care to older individuals. You’ll help them devise care plans for clients and oversee any difficult situations that may arise amongst your clients. As a care supervisor you will carry out staff training and appraisals and ensure each team member’s working conduct is aligned with the values of the care facility. You may be responsible for auditing the care facility, managing operational budgets and preparing relevant financial reports. As a care supervisor, your management skills directly influence the quality of life that older people enjoy. Your knowledge and experience will ensure the day-to-day care of older people is of the highest quality and is sympathetic to their emotional and physical needs. Your understanding of legislation and industry best practice will provide the best solution for older people who during the later years of their life. Your skills and experience in the care sector will be passed onto the care workers within your team, adding value to employee’s professional development. 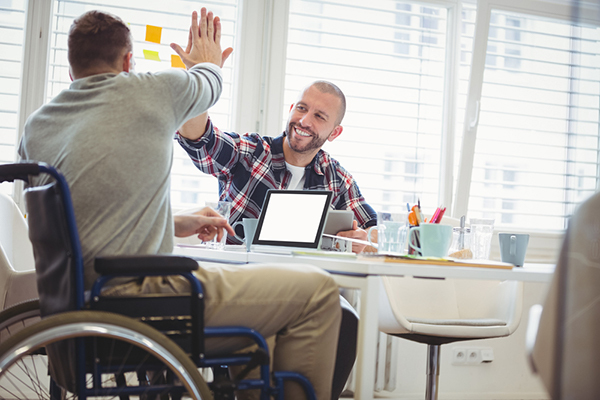 As a care supervisor, you’ll use your leadership skills to motivate your team and develop purposeful programs and strategies that ensure a well-run care facility. Supervise a team of care workers and ensuring they are provided ongoing professional development and mentoring. Lead team meetings, implement change and improve processes. Supervision of risk assessment, quality assurance and workplace health and safety in the care facility. As a care program coordinator you’ll be responsible for designing and developing a program of activities for older clients that works in tandem with care plans provided by other health care providers. You’ll devise activities that will engage clients, encourage social interaction and develop a sense of community with their peers. Your role as care program coordinator will see you liaise with other care professionals, sharing information that will help assist individuals and groups to enjoy a greater quality of life in their later years. As the care program coordinator, you’ll work with a team of care providers who will implement the activities you’ve scheduled. You may have to prepare educational materials, coordinate transportation to venues, book tickets and liaise with external venues to ensure everything goes smoothly. You’ll also apply your legislative knowledge to the activities and program components to ensure it complies with regulations. Working as a care program coordinator is a highly rewarding and fulfilling job. You’ll be able to positively impact on your clients’ day with providing interesting and well-thought out activities to keep them stimulated and engaged. Your efforts will directly improve their quality of life on a day-to-day basis, and this is one of the most attractive aspects of this role. This is a job that will see you bring your people skills together with your great organisational experience to develop a program that encourages a positive social community. Develop a varied and purposeful program of activities that will provide positive benefits to clients’ emotional and physical wellbeing. 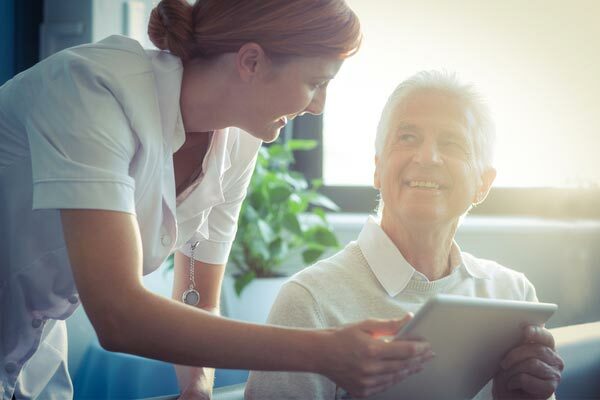 Liaise with health care professionals to work with their recommendations for suitable activities that will complement the care plans of older people within the care facility. Allocate roles to care workers within the team to ensure activities are carried out smoothly and effectively. You’ll assist older individuals with daily tasks in within their homes like showering, dressing and eating. If outings or social activities are planned, you’ll help them prepare for their day and assist them to the venue or location, often joining them for the day. As a home care assistant, you’ll need to be fit and physically strong as you’ll often be required to help individuals in and out of their bed, bathtub, chair or in and out of a vehicle. You may help them with grocery shopping, housework or small tasks they’re struggling to achieve themselves. Being a home care assistant is also about providing companionship for older individuals, so lending an ear or communicating with them is important too. Aged care workers often form bonds with individuals in their care, some of whom you may work with for several years. You’ll get to understand the different personalities of those you work with and may be privy to many of their life experiences as you get to know them. The key focus to the home care assistant’s job is to make the older individual’s life easier and more comfortable – and the job is a highly rewarding one. Assist clients with home duties like shopping, cleaning and tidying. Take care of clients’ physical health by showering, dressing and other personal hygiene needs. Offering emotional support through conversation.